The transportation division of the National Research Council has named MBTA General Manager Beverly A. Scott the recipient of a biennial award recognizing humanitarian leadership. The Sharon D. Banks Award for Humanitarian Leadership in Transportation has been given by the Transportation Research Board every two years since 2002 to an individual who exemplifies the ideals of the honor’s namesake, officials said. Banks, who chaired the research board’s executive committee in 1998 and worked as general manager of Oakland, Calif.-based public transit agency AC Transit from 1991 until she died in 1999 of complications from a series of strokes, was “known for her personal integrity, for nurturing and mentoring young transportation professionals, and for bringing together people of diverse backgrounds and commitments in the pursuit of organizational excellence,” according to the board. She was the first African American and first woman to lead AC Transit, according to the San Francisco Chronicle. Mt. Lebanon residents will have the opportunity to comment on a possible major development for the municipality’s business district. 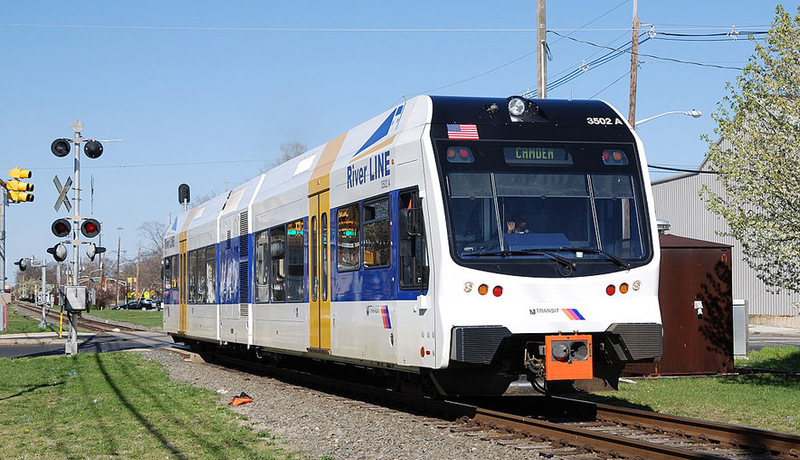 A public comment meeting on March 10 will address transit-oriented development under consideration for a site near the Port Authority light-rail transit station off Washington Road. “We want active participation,” Eric Milliron, Mt. Lebanon commercial districts manager, said about the meeting, which will be at the municipal building’s commission chambers. The proposed transit-oriented development is focusing on the proximity of a public transportation hub. The concept has been explored in Mt. Lebanon as far back as 1983, when the now-defunct municipal parking authority acquired the air rights, the ability to develop above the light-rail tracks, from the Port Authority. The idea has been re-investigated in recent years, with a series of studies considering such issues as feasibility, cost and development opportunities. The latest study is a market analysis conducted last year by Delta Development Group of Wexford, with the goal of preparing a request for proposal aimed at potential developers. California’s high-speed rail is one of the largest public works projects anywhere in the world. Like the Golden Gate Bridge, Bay Area Rapid Transit, Interstate 5 and the California Aqueduct before it, high-speed rail has engendered opposition, consternation and litigation. Every bold, transformative vision faces that litany. This year’s state budget includes high-speed rail as an important part of California’s landmark effort to reduce greenhouse gas emissions and fight climate change. Although the Air Resources Board included high-speed rail in its 2008 greenhouse gas reduction plan, the project’s economic benefits have been discussed in more detail than its environmental ones. A planner’s rendering of the future of downtown Windsor shows a picture of a bustling street filled with businesses and pedestrians. With plans for on-street parking, a new parking garage located behind Town Hall and mixed-use buildings on Mechanic Street, Windsor is looking to capitalize on making downtown appealing to those traveling through town on bus, car or train. The Transit-Oriented-Development Steering Committee has been reaching out to the public for input over the past year, developing residents’ “vision” for the downtown area. The final Windsor Center Study Workshop was held on Jan. 16. About 60 people came to participate, looking to be a part of the conversation about how their hometown might develop and grow. Windsor Town Planner Eric Barz leads a group discussion on Windsor’s mobility issues at a public forum on Jan. 16. Photo by Jennifer Coe. “We’re here to talk about key opportunities that are before us,” said Steve Cecil of the Cecil Group. “You are on a rail-line. If you can take advantage of that rail connection, you can have a stronger economy,” he said. According to the consultants, Windsor has a lot of positives, besides the rail connection, including a growing need for housing in the downtown area and an excess of roadway. “You have more roadway width than you actually need,” said Cecil.